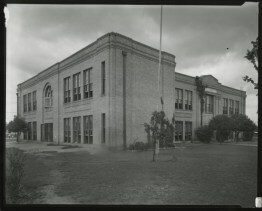 In the eastern part of Austin, Texas in 1915 Metz Elementary school was built. This school served a large number of Spanish-speaking students. In 1916, the Austin School Board decided these students could be better served at a separate school. The Mexican-American parents in this neighborhood disagreed. They worried that they might not be able to provide transportation and they felt this segregation would not provide their children with the same opportunities. While the board never officially rescinded their decision the Mexican-American children kept at Metz were never asked to leave. Eventually the matter was quietly dropped. For seven and half decades Metz served this community--several generations of the same families started their school careers at this neighborhood school. By 1990 the Austin School District deemed the old crumbling building “unsafe” and plans were made to tear it down. It was at this point the paranormal trouble started. Joe Torrez’ trucking and excavation company was contracted to do the demolition. * He thought this “job” was going to be simple but it turned into a nightmare for him and the men that worked for his company. Both Torrez and his men heard the sounds of children’s laughter in the bathroom stalls in the old school. The work crew also heard the sounds of fingernails scratching down blackboards in classrooms that were deserted. After this, most of his men refused to enter the crumbling school by themselves. Equipment they were using to demolish the school started to stall or break down without explanation. Every time one bulldozer was driven close to the old brick building it’s engine stopped. A truck was sent to the school with various replacement parts but it broke down en route to the school. Several workmen’s wristwatches also stopped working. Torrez by this time was having trouble-keeping men on the job. They either quit or called in sick. It seems everyone felt that “something otherworldly” was impeding the demolition of Metz. Torrez in response decided to call in a Catholic lay evangelist to perform an exorcism. Elias Limon walked through the school, sprinkling holy water and blessing each room. Unfortunately, his efforts didn’t work. Just a few days later a wall came crashing down and killed a workman. By the time the school was completely demolished--Torrez and his men were 6 months behind schedule and more than half of his work crew had quit or refused to return to work. A modern Metz Elementary was built on the same spot in 1992. The old school was so beloved by the community that the architect used the old building’s bricks to pave the new school’s courtyard. Both teachers and students at this school have reported hearing and seeing child ghosts. While working on the site Joe Torrez rescued one tree and transplanted it in his daughter’s yard. Since, many witnesses have reported hearing the sounds of children’s voices coming from this tree. 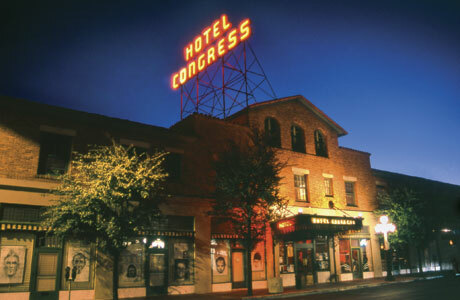 The Hotel Congress located in Tucson, Arizona first opened its doors in 1919. This hotel today is still a place were college students and tourists gather to hear live music. 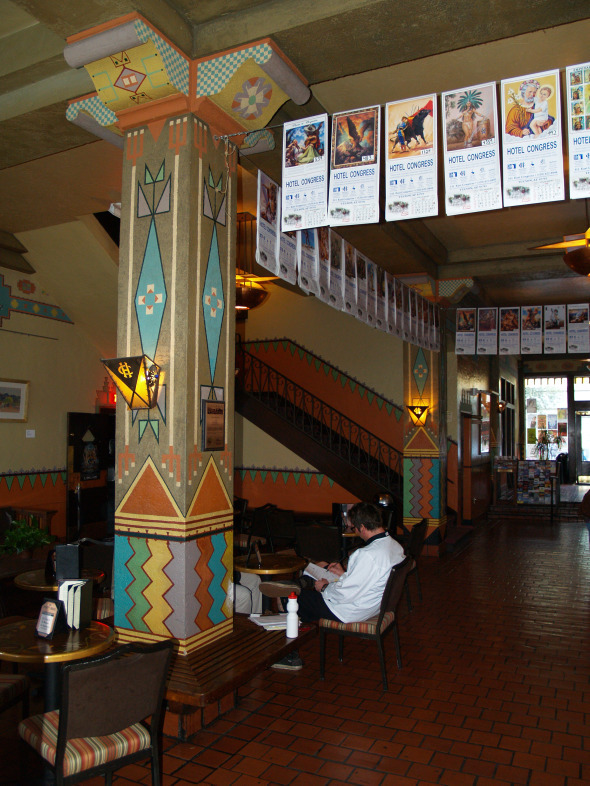 The downtown area where the hotel is located in Tucson is known today for its fun upscale nightlife. This hotel has a long and sometimes dramatic history. In the 1940’s the hotel provided a popular diner, tavern and nightclub. At times during both the 1930s and 40s its' Tap Room provided a safe haven for gays. Part of the drama that happened at the hotel is why many feel this building is still haunted. The stories below I first read on the Tucson Museum’s web site. Some of these stories might be exaggerated in order to draw more customers to the hotel--regardless I share all of them here because they are too good to pass up. One story states this elderly gentleman was murdered during a poker game in the hotel in 1931. His was then hidden under a bed on the same floor and the game continued. His ghost had been seen ever since. He is described as a “good looking” man wearing an old-fashioned grey suit with a long gold watch. He is most often seen peering out of 2nd floor windows in unoccupied rooms. Room 242 in the hotel is known as the “suicide room.” A young female bar maid who worked at the hotel in the 1940s took her own life after breaking up with a married “high ranking” city official. There is only one problem with the theory this was a suicide. The lady in question was involved in a standoff with police at midnight. Her death was actually caused by the hail of 29 bullets--many shot into her body. Today bullet holes from this standoff can still be seen in the closet in Room 242. Ever since, guests have heard strange noises on this floor, some have seen a female walking up and down the hall others have seen her apparition in the room’s bathroom. The smell of roses on the lobby stairwell is also believed to be the result of this haunting. Another unusual phenomenon in the hotel is connected to a man named Vince. Vince was a resident of the hotel for 37 years. While alive he was known to steal butter knives from the kitchen and other places around town in the 1960s and 70s. Vince died mysteriously in 2001 when he was attacked during a full moon by a desert bobcat in the hotel’s back alley. Huh? Since his death guests and hotel staff have reported finding old-fashioned knives scattered around the hotel’s 2nd floor. The sidewalk that runs in front of the Hotel Congress was built in the 1800s before the hotel. This sidewalk has multi-colored glass shards embedded within it. This glass was placed to let light filter down. The reason for this is this sidewalk sits above one underground tunnel. A series of tunnels were built under Tucson’s downtown area in the 1800s to provide a way for Chinese workers to go to and from work. This sadly was during a time when the Chinese were forbidden to walk or mingle with Tucson’s “polite society” on city streets. These tunnels after dark where used by the more disreputable population of Tucson. Saloon owners, gamblers, thieves and the ”Tucson Vigilante Committee” often used them. People were seen going down into them never to return. It is believed the restless spirits of those who were murdered still prowl these tunnels. In January of 1934 a fire broke out in the hotel’s basement when someone’s cigarette ignited some tablecloths. This fire quickly spread all the way up to the 3rd floor. Frightened hotel guests--many barely clothed--ran out onto the streets. Some guests existed the hotel by jumping out of windows. Among the guests on the street were 2 men standing in their underwear. They pleaded with and then bribed 2 firemen to go up to the 3rd floor and retrieve their luggage. When one of these bags accidently opened it was found this luggage contained 3 Thompson .45 caliber submachine guns, two 30-30 Winchester rifles, 5 military bulletproof vests, 4 hand grenades, 3 bottles of dark Cuban Rum, a glass eyeball, a skeleton’s hand, and $38,000 in cash. $7,500 in gold coins from the United States Mint was also found. These two men were Russell “Killer” Clark and “The Knife” Makley. They were part of the John Dillinger gang. They and Henry “Gunner” Pierpoint and Dillinger were all laying low in Tucson. The Tucson police eventually arrested all 4 men. Dillinger and Pierpoint were found later at other locations in Tucson. They were then transferred out of state to stand trail for murder and other crimes. The Tucson police at one time displayed the machine guns discovered in this luggage at their headquarters. Since the Dillinger gang arrests various employees at the Hotel Congress have reported feeling a “skeleton hand” on their shoulders and necks. Some have seen a glass eyeball roll across the kitchen floor or along the top of the bar late at night. In November of 1997 an old grey-haired man wearing a tattered black suit appeared at the bar in the hotel near closing time. He held an old bottle of Cubana Rum under his coat jacket. The bartender reminded him that he could not bring his own liquor into the bar. The man then approached the desk clerk and rented a room on the 2nd floor. He paid the clerk with old U.S. currency bills. He invited the bartender and several other employees up for a drink in his room later. This group drank together for almost an hour. The old man told them he had visited the Congress years before. He informed them that he was going to take a shower but they should return in a half hour. When they entered the room again it was empty and there was no evidence that it had been recently occupied. The glasses they had used were back on the counter and clean--the wastebasket was empty. They went down to the hotel lobby and the desk clerk told them he had seen no one exit the hotel in the last hour. He checked the old man’s registration card that he had watched being filled out and discovered it was completely blank. When he unlocked the cash register he discovered that the old bills were no longer there. The soccer match today between Germany and the U.S. reminded me of a viral video I saw last year in May. This video drew a lot of attention because supposedly during this match between Bayern Munich and BVB Dortmund the figure of a ghost was caught running in the middle of the field. Skeptics immediately announced that the figure was not a ghost but a mirror image of a player on the other side of the screen. But this didn’t prevent over 4.5 million people from viewing this video on YouTube. Just the month before this game another supposed ghost was caught on camera during a soccer match-- or “football” which most of the world calls it--in Bolivia. One article at the time stated ghosts must like soccer. Here is the video recorded at the DFB Cup Final that Germany won. Here is a legend that is told in Tennessee. 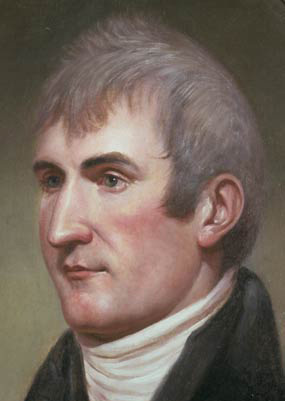 Meriwether Lewis was a famous member of the team Lewis and Clark, which President Thomas Jefferson sent to explore and map the western continent. 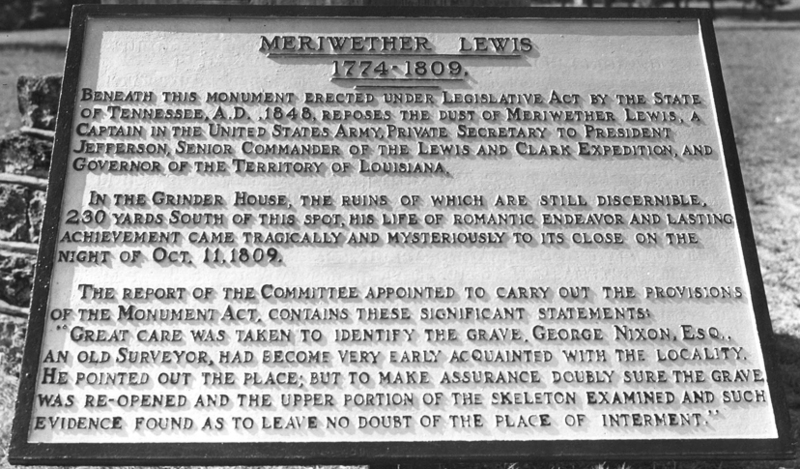 After Lewis returned form this expedition President Jefferson rewarded him by making him Governor of the upper territory of Louisiana. 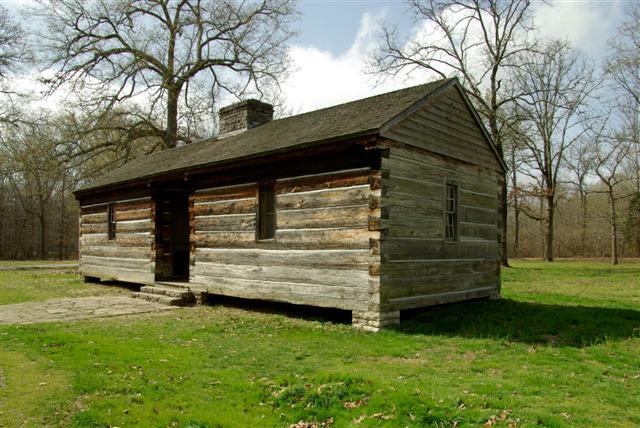 In October of 1809 Lewis was on his way north from Louisiana to Washington when he stopped at “Grinder’s Stand” an inn located near Hohenwald, Tennessee. He secured rooms for the night and according to Mrs. Grinder spent the evening refusing to eat and pacing back and forth on the front lawn. She reported he was talking to himself or mumbling erratically. She stated she heard him ranting about his enemies. Later, Lewis still pacing awakened Mrs. Grinder. She then heard two gunshots and watched Lewis stagger and then fall--this was followed by him exclaiming, “Oh Lord.” She watched as he crawled down the hall toward the kitchen. He had first knocked on her door requesting help--he wanted water and someone to heal his wounds. Once in the kitchen she watched through a crack in her door as he struggled to pump water--he didn’t succeed. He then managed to stagger back to his room where he lay on a buffalo robe instead of the bed she had prepared for him. Oddly, Mrs. Grinder refused to leave her bedroom to assist Lewis. In fact, it wasn’t until 2 hours later that she finally had his servants summoned from the barn where they were sleeping. He died as the sun came up. Lewis was buried on the inn’s property. Today this land is a part of Lewis Meriwether Lewis State Park. A year later John Grinder was brought before a grand jury and accused of Lewis’ death. These charges where eventually dropped because of lack of motive and evidence. Captain Gilbert Russell the commander of Fort Pickering where Lewis had rested during his journey provided the first account. The captain stated that Lewis had appeared deranged and was drinking heavily while at the fort. He testified that he had detained Lewis at the fort for 5 days just to protect his health. A Major Neely who traveled with Lewis on the Natchez Trace gave the second account. He also stated that Lewis was often drunk and that his death was a suicide. Several others stated Lewis had not been drunk and that he just suffered from a digestive ailment. But many questions remained, why had Mrs. Grinder not helped Lewis? Why had his traveling companion Major Neely disappeared just before the two men reached Grinder’s Stand and then shown up again the next morning? His death remains a mystery for there were no eyewitnesses to the shooting. While some historians accept that Lewis’s death was a suicide others question it. They believe that Lewis’s death was actually a part of a far-reaching conspiracy and this is the reason why his ghost still haunts the area around his gravesite. The main culprit in this plot had the most to gain from Lewis’ death. 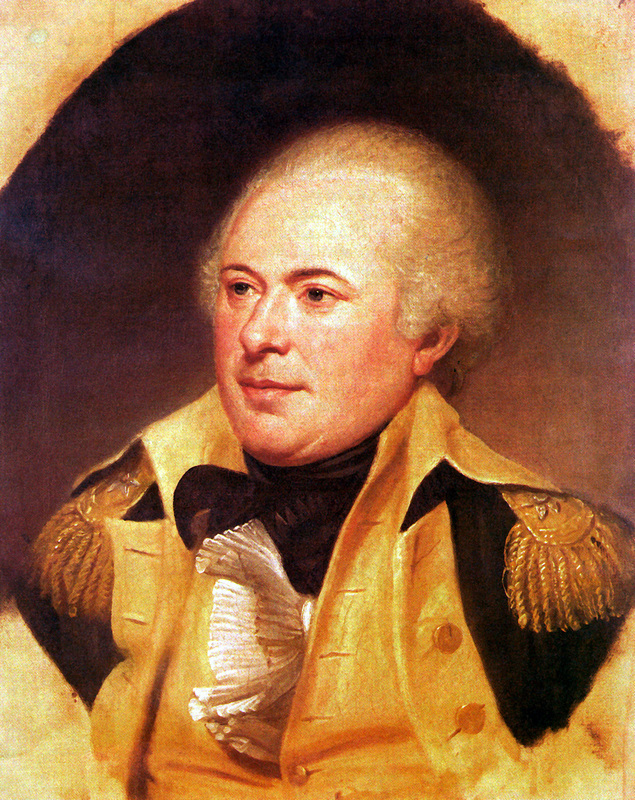 General James Wilkinson became Lewis’s predecessor as governor of Louisiana after his death. Wilkinson in 1804 had conspired with Aaron Burr to create an “empire in the west” in an effort to gain more wealth and power. They had tried to extract money and weapons from Britain and Spain to further their cause. Wilkinson turned on Burr in 1806 and informed President Jefferson of their plot. Both men escaped punishment for this treason. It is believed that Lewis known for his honesty and integrity had discovered new evidence against Wilkinson and intended to use it. Many believe this was the real reason for Lewis’ journey to Washington. Evidence that backs this belief up was Captain Russell and Major Neely who announced that Lewis was deranged, drunk and committed suicide actually had both been appointed to their positions by General Wilkinson. 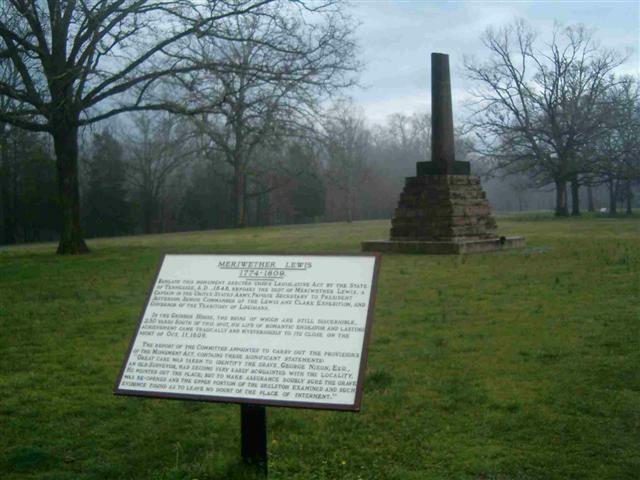 It is even felt by some that Major Neely who conveniently disappeared before reaching Grinder’s Stand probably was the one who shot and killed Meriwether Lewis. A tablet placed in 1938 at the National Monument by Lewis’ gravesite acknowledges the controversy that surrounds his death. The questions about Lewis’s death would just be a footnote in American history except for one item. Lewis’ gravesite is considered to be haunted. On cold autumn nights the sound of a water dipper scraping against an empty bucket is heard. Even more compelling witnesses have stated they heard the words, “so hard to die” mixed in with the rustling of the leaves. Is Lewis’ restless spirit trying to set the record straight? The truth is lost to a cold autumn night 205 years ago.